**ESTABLISHED IN ETSY since 2010, we have the Experience and are the Original Sellers of Poufs & Kaftans in Etsy. We have added tassels or Pompoms to bring out the originality of our designs. We believe sincerely in providing inspiring bohemian lifestyle products. If you'd like to save money, this is the best way. It's very easy to fill your new poufs by using your old cushions, sheets, towels, old newspaper (you'll have to roll them and stuff them in). It is the MOST ECONOMICAL wasy to fill in the pouf, and makes no difference once you have closed the zip. It looks absolutely FAB. And is also a very ECO-FRIENDLY option, so try it out. If it's a gift, please let us know, and we will be sure to include the instructions how to fill the pouf easily& economically too! Produced exclusively for Maison De Marrkech by skilled craftsmen in our family artisan leather workshop in Marrakech. 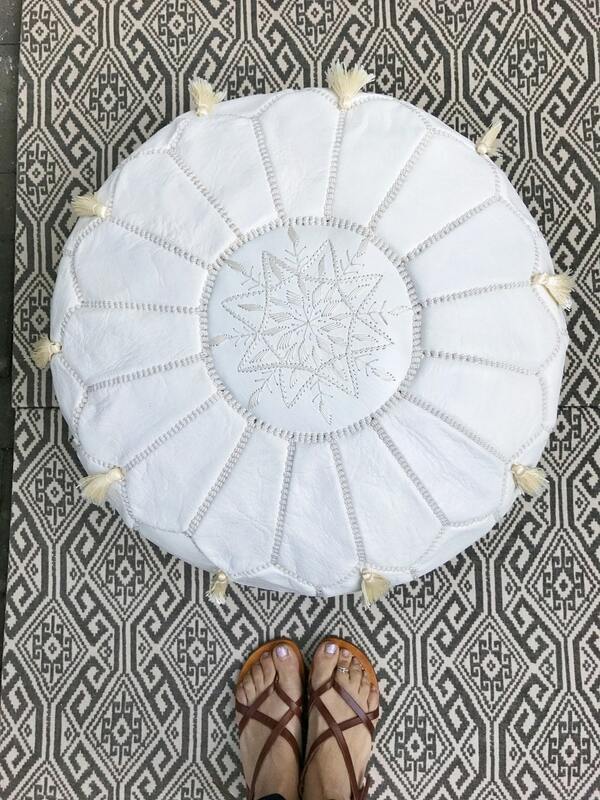 Our original Poufs with embellished Tassels. The finest quality leather is used for our pouffes which are available in wonderful vivid colour selections. 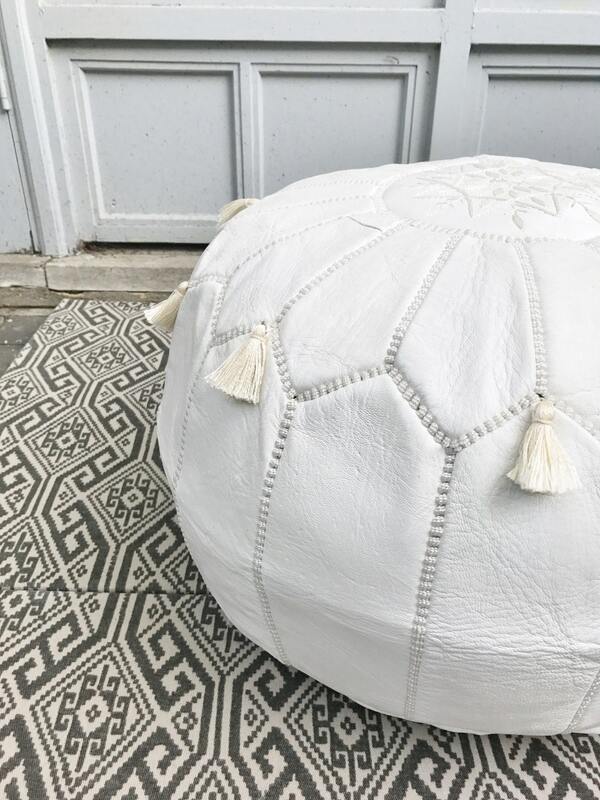 Pouffes, also known as ottomans, make a stunning home furnishing accessory and give great character to any room in your house. Leather pouffes have many practical uses from seats to footstools to decorative side tables. Choose from an array of different colours. 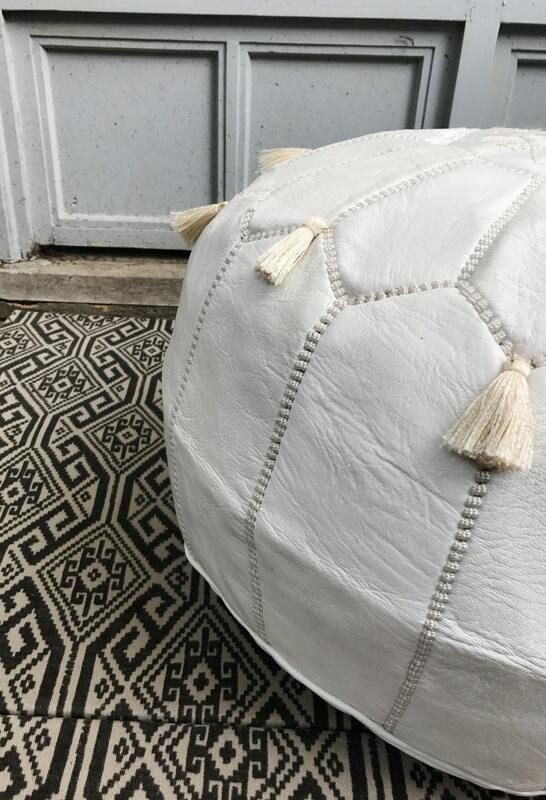 ::Our Poufs are an original design with embellished TASSELS. You can request for another colour of tassels, or you can request for plain without. Please kindly contact us for your request. ::We ship within 1-2 business days. Once dispatched, we can provide tracking number. We ship via UK standard mail. Please note, at the check out, there is also an EXPRESS option you can choose, should you be in a rush. ALL ORDERS ARE SHIPPED STANDARD. (you have an option at check out to ship via EXPRESS as well). ::Rest of the word : 7-12 business days. MAISON DE MARRAKECH is now helping a community in Agafay (20km from Marrakech) to build more nurseries and better established schools, and supporting the independence of women in the Agafay area. We will be donating 5% on every product sold in our shop. Help us raise funds to keep our support going on. Here in Maison de Marrakech, each products are created as a one of a kind treasure. Due to the handmade nature of our items and individual crafting of each one, no two pieces are identical. Each product that we create is unique and individual. Maison de MarrakechOur products are great for special occassions too: for halloween, Christmas, birthday, Ramadan, Eid and many more.., halloween. Perfect for Black Friday Sale, Christmas gifts, gifts, new year gifts. Great gifts ideas for Valentine's Day, Mother's day, Father's day too!Great as a Easter gift for your family and friends, and the upcoming Mother's day gifts. Beautiful & quick shipping! Looks gorgeous in our nursery. 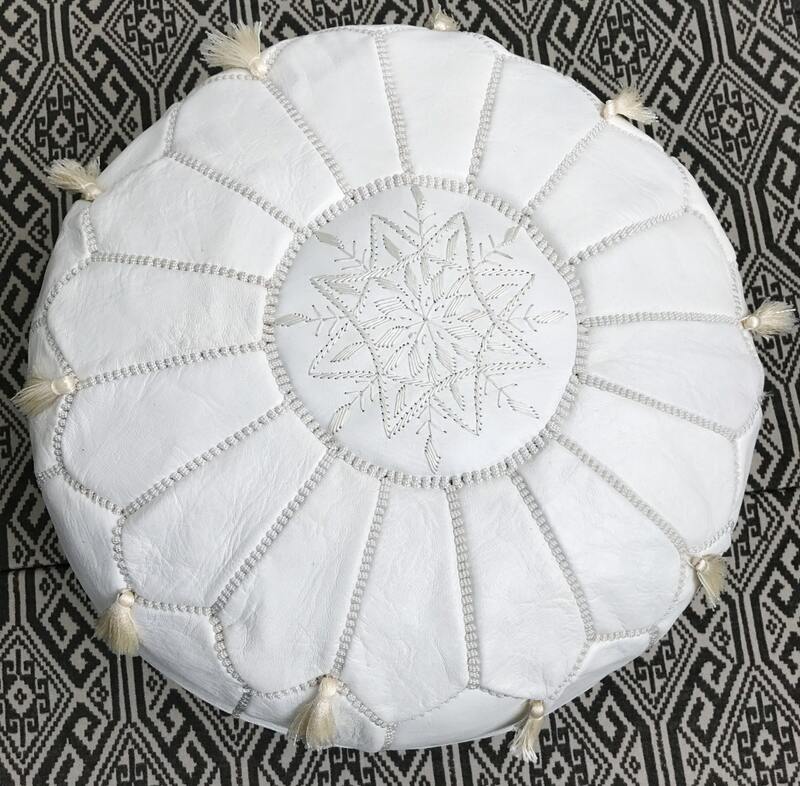 I ordered a white Moroccan leather pouf and it was purchased March 21 and did not arrive, but the owner emailed me back and will be sending out a new one.